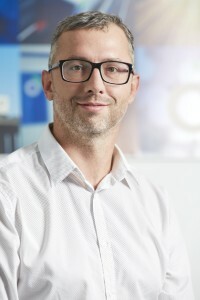 Effective 1 September, Aleš Willert was appointed general manager of the entire C.S.CARGO Holding a.s. group, which currently includes the companies C.S.CARGO a.s., C.S.CARGO Slovakia a.s. and C.S.CARGO Poland. 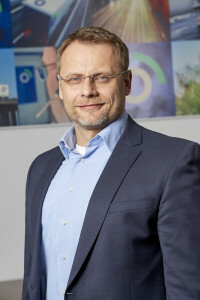 In addition to overseeing joint projects and exploitation of business opportunities, Mr. Willert is also in charge of strategy. Aleš Willert has worked at C.S.CARGO a.s. since 2010, when he began as the operations manager. In April 2012, he was named to the position of general manager of the company and also became chairman of the board of directors of C.S.CARGO a.s. He has spent practically his entire career in the field of transport and logistics, having gained his experience as, for example, the operations manager of the logistics company ESA s.r.o. and as manager and chairman of the board of directors of Milktrans a.s. The board of directors named Petr Volák to the position of general manager of C.S.CARGO a.s. as of 1 September. Mr. Volák had previously worked for C.S.CARGO from 2009 to 2016, first as a regional manager and from 2012 as manager of the transport division. Prior to that, he held management positions in the Carrefour ČR retail chain from 1998 to 2003 and at the logistics company Loguran a.s. from 2004 to 2009. In his last year at Loguran, he served as the manager of the company. He was also the manager of SD sped a.s. from January 2018. “I believe that all of these changes will push us a step another step forward and are the logical outcome of the good work and results of the whole company. I wish both of the newly appointed managers much success,” says Jan Blaško of shareholder Tuffieh Funds, commenting on the changes in the company.